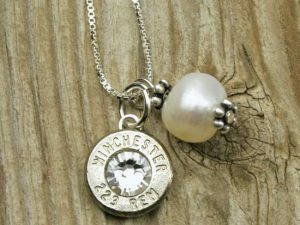 Our Bullet Wing Necklace will make you the talk of the town and the envy of your friends! 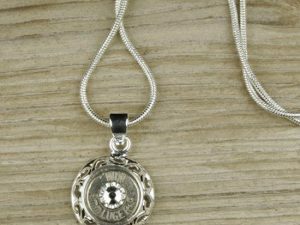 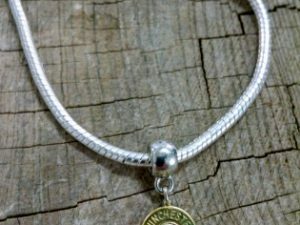 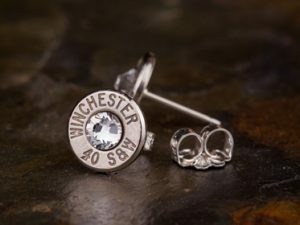 It comes with a 32″ stainless steel chain, a recycled 9mm bullet head and the Swarovski crystal! 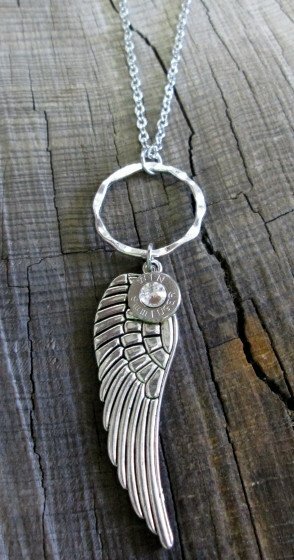 The wing pendant dangles 3″. 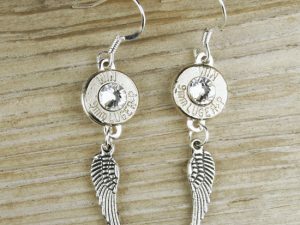 Tags: Bullet Jewelry, Nickel, Wing Necklace.